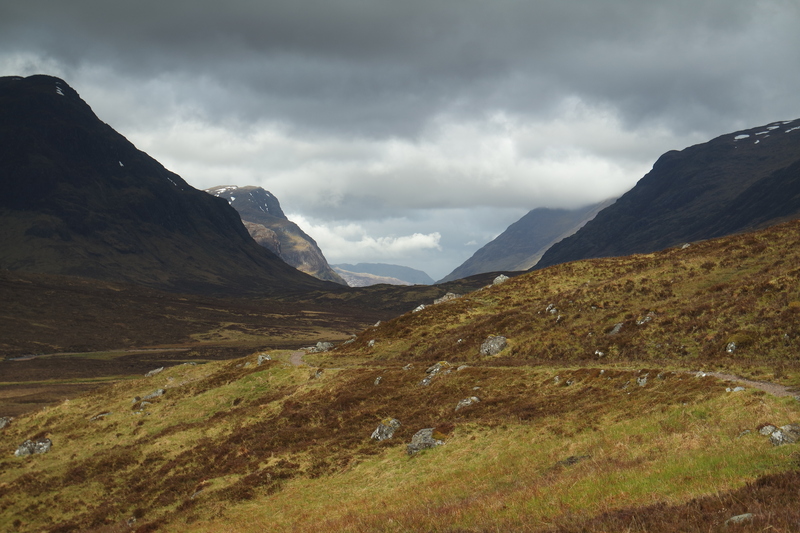 In summer 2014 I promised myself to walk West Highland Way. It is a 154km (96 mile) walk in Scotland starting just outside of Glasgow in Milngavie and finishing at Fort William. I have no clue where I got this idea from, but I thought it would be a nice thing to do after my last ever exam at the University of Edinburgh. I spent 5 years there studying engineering and I really felt like I could do with some fresh air afterwards. I did not really tell anyone what I was planning to do, as after some of my friends reactions (“omg just watch some TV and relax”, “you can’t go on your own!”, “why on Earth would you do this?? ?”) I thought it would be better to keep it to myself. So in May 2015, I packed my backpack and left. I woke up in the morning, asked myself what was wrong with me a dozen times and left. Goodbye cosy bed, see you next week. It was my first ever long distance walk, so I was not sure what to expect. I started walking from Milngavie and I was really excited about what was waiting for me. I was enjoying every moment, even though the scenery was not extremely exciting. It was nice to be out of the city and listen to the birds singing. Even though I was walking on my own I never felt alone. There were always people around and I was never that far from civilization anyway. 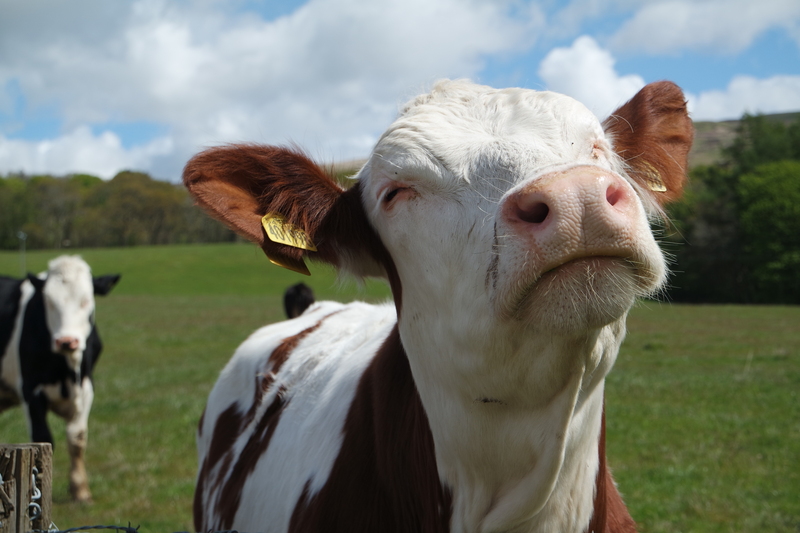 At around noon some cows blocked my way and while waiting for them to move, I got to annoy them with my camera. It was 3pm when I was already building my tent in the Drymen campsite. I covered 19km that day as planned and I was ready to relax. At that point I was in a deep regret of starting the walk with almost new shoes. There were already 3 blisters on my feet. I covered the blisters with the fancy plasters I had and I was hoping it wouldn’t get worse. I woke up to a million voices of birds. 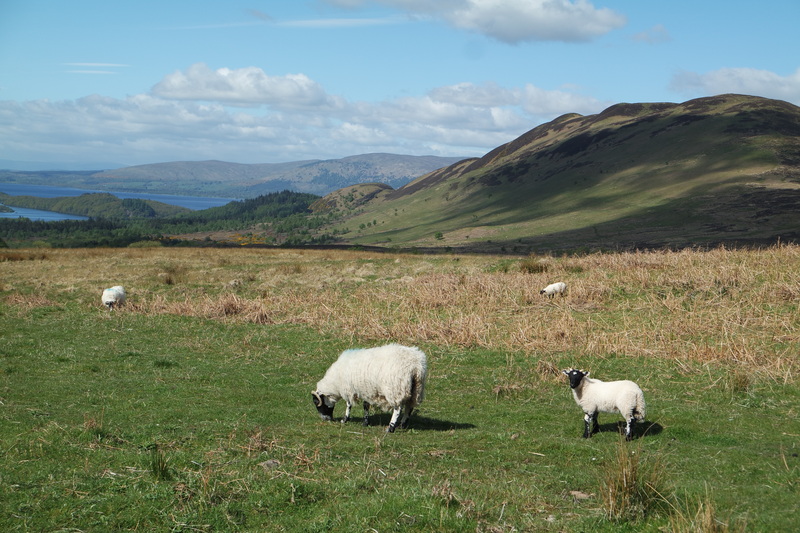 The Conic Hill was waiting for me today and I was slightly worried about facing it. It turned out that there was nothing to worry about the hill and it wasn’t as challenging as I thought it would be. Even with the 20+kg backpack I was doing as well as other walkers carrying only small backpacks. 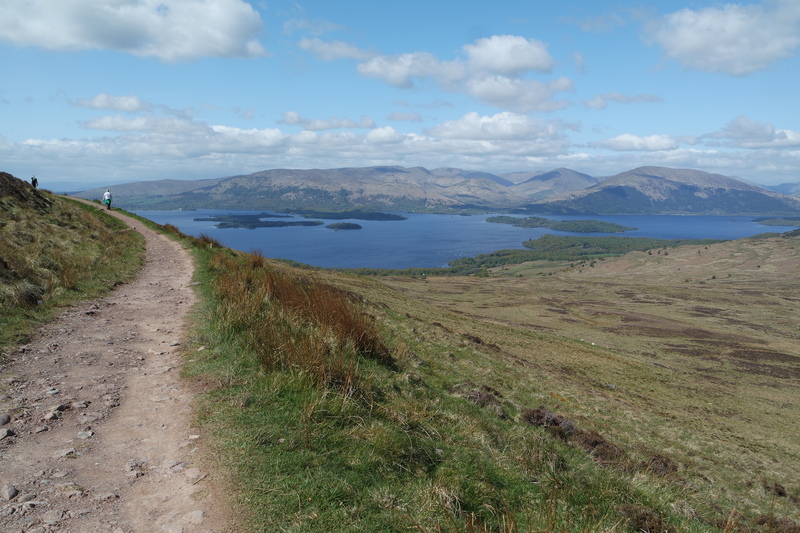 The views of Loch Lomond from the top of the hill were worth every effort. 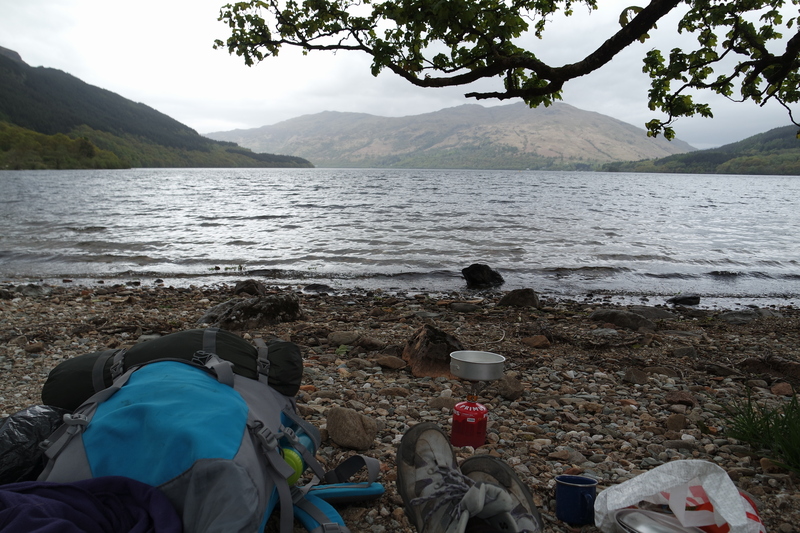 I completed 20km that day and stayed in the Sallochy campsite. It was an absolutely amazing place to camp, as it was completely natural. However, my blisters got much worse, so all I wanted to do that night was to stay in my warm sleeping bag. Day three already! 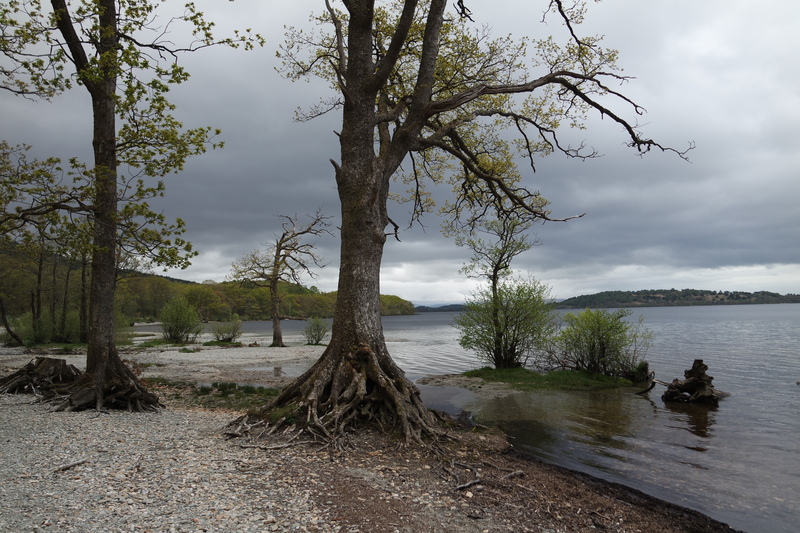 I left Sallochy campsite and continued walking along the beautiful Loch Lomond. I had 27km to cover that day and it was unexpectedly challenging. Half of the route was pretty straightforward, however the blisters on my feet were absolutely killing me. 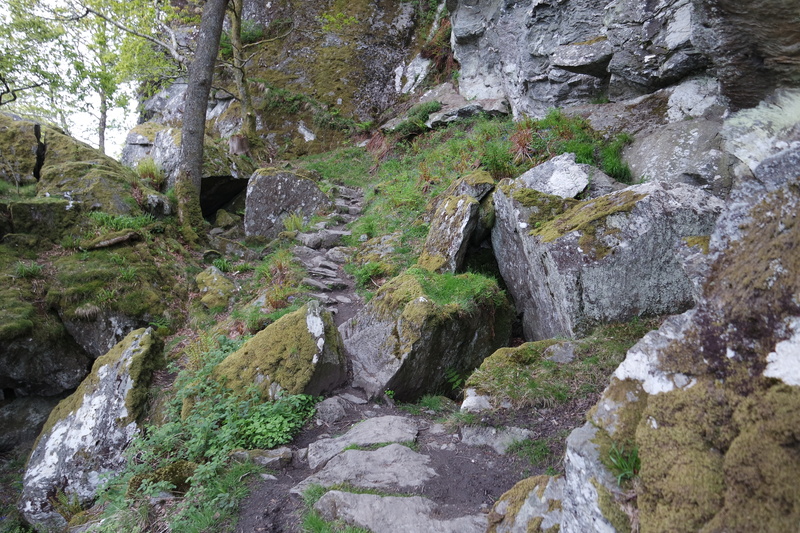 Once I started the second half, the paths became narrow and rocky and every meter required a lot of effort. A few swear words escaped my mouth that day. The weather was bad and it was raining most of the day, but my enthusiasm wasn’t washed away. I built my tent in the puddle in the Beinglas Farm Campsite and had a massive piece of chocolate cake at the pub. My feet were really sore and as I was completely out of plasters. I could not explain the happiness I felt when I found some of those in the campsite shop. I was feeling a bit down and because of my feet I was not sure if I could continue the walk. I was thinking that it was nice to be on my own, as I had nobody to complain to, but I really felt like hugging someone that day… I fell asleep listening to the sound of waterfalls. Packed my smelly tent and left Inverarnan (Beinglas Farm). I was going to Tyndrum and had only 19km to walk. 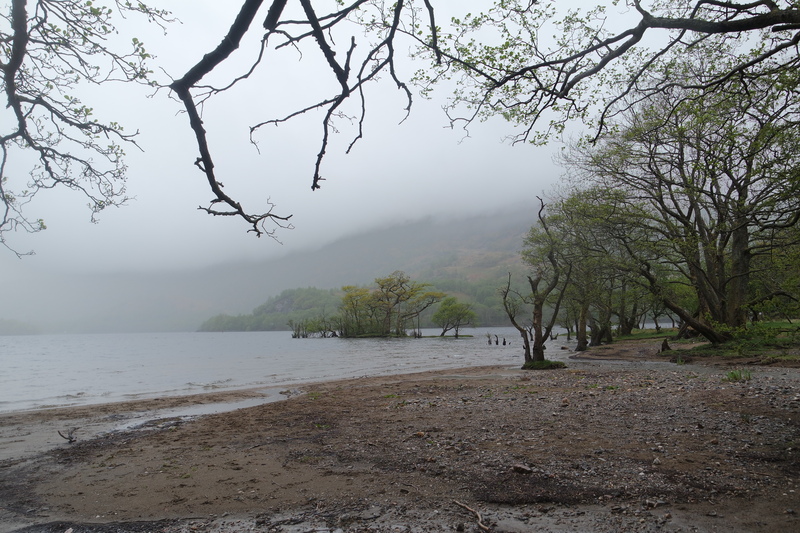 I said bye to Loch Lomond and I was excited about the mountain views that were waiting for me. The walk that day was challenging mostly because of the blisters. I was also a bit dehydrated and probably did not do enough stretching so my leg muscles were sore. But I was slowly moving forward and I arrived to Tyndrum really early. I camped in the Pine Trees Leisure Park, where I even had a wifi in my tent! I spent the rest of my day stretching and drinking loads and treated myself to a nice fish and chips supper. I was absolutely freezing all night and put all the clothes I had on me. The temperature dropped below zero and I found some frost on my tent (Yes, it’s almost summer!). I woke up early and it seemed that the entire campsite was feeling the same, as at 6am everyone was already packing their tents. The long way to Glencoe was waiting for me and my blisters were not helping thus, I thought, getting up early was a good idea anyway. All day I was walking through this amazing landscape and I coudn’t stop smiling. I think at some point I was so excited that I forgot my pain and I was almost running. There were only a few hikers around and I could enjoy an absolute freedom. On the second half of the day I met a German girl and we walked together for the rest of the day. Conversations helped to get distracted from the pain and the day went really quick. However, after 10 hours walking and I was really happy to reach the campsite, which turned out to be…full. I couldn’t believe it and I did not want to do any more walking, so I built my tent just outside the campsite. Nobody cared about that and I saved a few pounds as well. Today was the day when I had to face the highest point of the walk – the Devil’s staircase. My legs were feeling so much better and I knew that I would be able to finish this walk for sure. The day was full of beautiful mountain views and the Devil’s staircase wasn’t that challenging either. I reached Kinlochleven and ran to get some nice food from the shop. I spent past few days eating mostly porridge and noodles and I was dreaming about some veggies. I’m not gonna lie, I was waiting for the walk to end. Not because I was fed up with walking, but mostly because all my clothes were extremely smelly and I had enough of porridge (I really don’t like it in the first place…). The way was going through the places where seemed that nobody was around and it was so nice and peaceful. I stopped for lunch and then soon after that I could see For William. I was so happy! The last couple of miles I walked with Ian and Judy. I met them every day during my walk, they would always overtake me at some point during the day, as I was quite slow with my big backpack. We had a pint in Fort William while smiling like somebody who traveled to the moon and it was weird to think that it was all over. 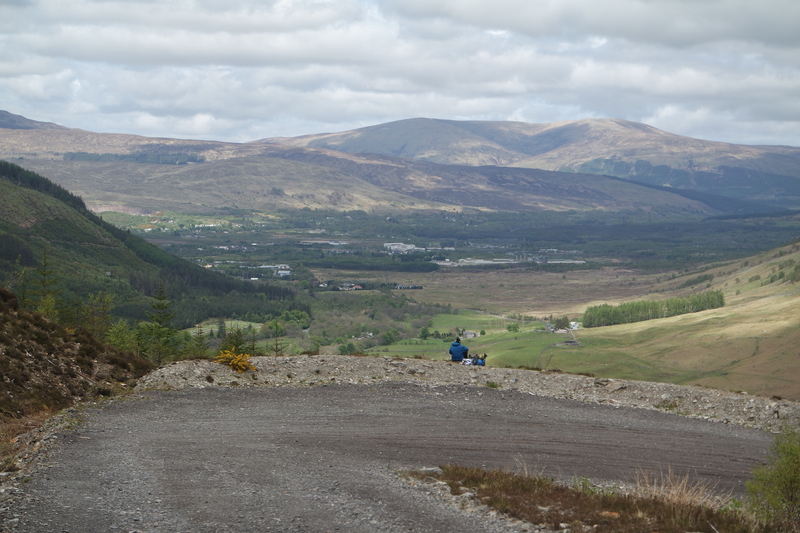 I spent another couple of days in Fort William, mostly resting. 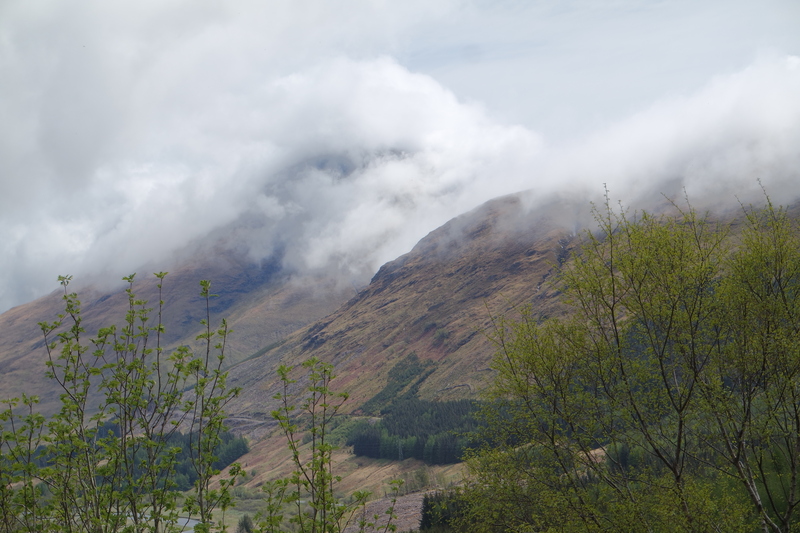 I was planning to try to reach the summit of Ben Nevis, but as I had done that before, I was not too bothered this time, so I just stayed in the hostel. I thought I would add that if you are planning to walk WHW, try to do it in spring/early summer so there would be no midges (they can definitely kill the mood). Also, check for any special events – the night I spent outside the campsite was because of some cycling event taking place that I didn’t know about. 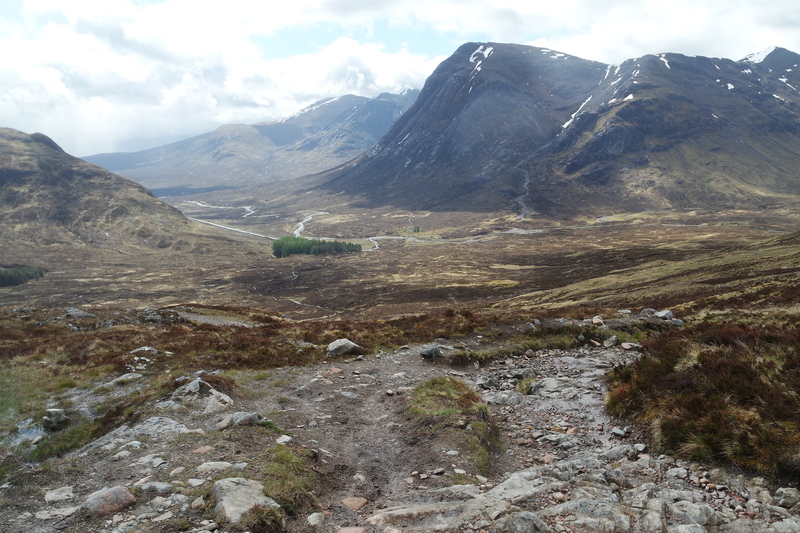 I’ve never done the West Highland Way, but I’ve seen the start of it many times! My mum grew up in Milngavie, and I used to visit my Gran there and see all the signs. Well done for the big trek! Your photos are incredible, I’ll be adding this to my list of trails to do abroad!